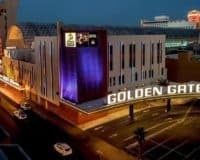 The California Hotel and Casino is located downtown, 12 E Ogden Avenue, just one street away from the dazzling lights of Fremont Street. 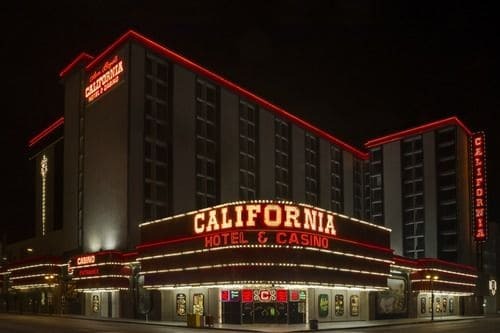 The California Hotel and Casino is located downtown, just one street away from the dazzling lights of Fremont Street, one of Las Vegas’ most popular destinations. This makes it ideal for anyone looking to sample some of Vegas’ legendary nightlife, in comfort and style. 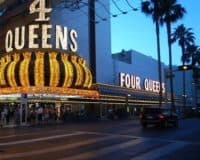 This accommodation has all the amenities that you would expect in a high-class Vegas hotel, offering a stunning pool, a number of great eateries, providing food for every taste, along with several great bars that provide classic Vegas entertainment, which ranges from comedy to live musical performances. 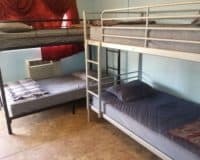 Each room is comfortable, spacious and well-designed, featuring amazing wooden furniture, flat screen televisions, free internet access and much, much more. The rooms are modern, having recently been refurbished, with the hotel reopening in September 2017. They also include well-equipped bathrooms, with everything that you would expect in a good-quality Vegas hotel. The casino offers a classic Vegas gambling experience, with over one thousand slot machines, a fully stocked and satellite-linked sports book, along with all the classic table games that you usually find in Vegas casinos. The hotel also prides itself on hosting things such as conferences and wedding receptions, making it a great option for special events. The California Hotel and Casino is the ideal place for people who want to get the true Vegas experience, off the Strip, and is undoubtedly one of the best hotels that is in the Fremont Street area.